The Rosary in the Scriptures. Washington, DC. : Self published.. Very Good. 1947. Soft Cover. 24mo - 13 x 9.5 cm. ; 44 pp. Gray wraps with dark blue lettering and art work on the front in a saddle stapled binding. First published in 1943. 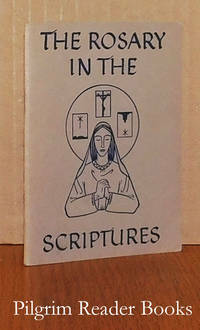 From the title page: "Quotations from the Holy Writ describing each of the Mysteries of the Most Holy Rosary of the Blessed Virgin Mary together with Directions for saying the Rosary." Light edgewear and tanning (age-darkening) to the covers. The shipping cost for this small item will be reduced when ordered. . 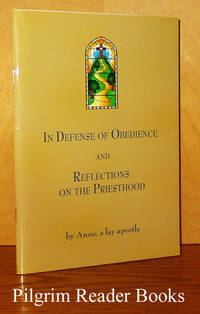 In Defense of Obedience and Reflections on the Priesthood. By Anne - a lay apostle. Justice, Illinois. : Direction for Our Times.. Near Fine. 2007. Softcover. 1933684453 . 12mo - 19 x 13.5 cm. ; (6) - 52 - (6) pp. Full colour wraps in a saddle stapled binding. Words from Anne spoken to her from Jesus, St. Ambrose and Our Blessed Mother. Anne lives in the diocese of Kilmore in Ireland. Previous owner's small inked note on the last blank page of the booklet. 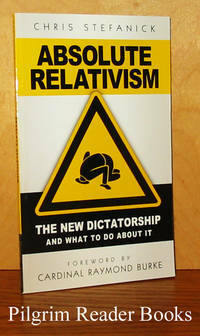 The shipping cost for this small item will be reduced when ordered. .
Absolute Relativism: The New Dictatorship and What to Do about it. San Diego, California. : Catholic Answers.. Fine. 2011. Hardcover. 9781933919461 . 12mo - 18 x 11 cm. ; (16) - 59 - (5) pp. Eight page foreword (including notes) by Cardinal Raymond Burke. Five pages of footnotes at the back. A question and answer format is used throughout. The shipping cost for this small item will be reduced when ordered. .
San Francisco, California. : Western Dominican Preaching.. Very Good. 1979. Softcover. 24mo - 14.5 x 9.5 cm. ; 113 pp. Full colour card stock covers in a saddle stapled binding. 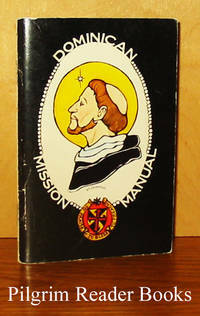 From the preface: "The purpose of this manual is to assist those who are making the parish mission to make it well. It contains devotions and prayers not found in ordinary prayer books." 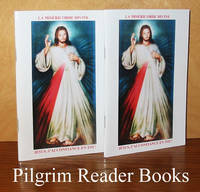 One 12 page appendix of various devotions and indulgenced prayers. Mild wear to the covers, otherwise clean with a solid binding. The shipping cost for this small item will be reduced when ordered. . 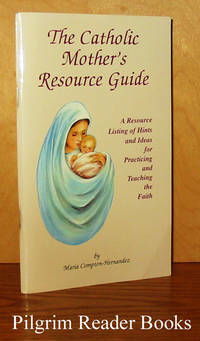 The Catholic Mother's Resource Guide: A Resource Listing of Hints and Ideas for Practicing and Teaching the Faith. Milford, Ohio. : The Riehle Foundation.. Near Fine. 1996. Softcover. 1877678449 . 12mo - 18 x 11 cm. ; vii - 68 pp. Full colour wrappers in a saddle stapled binding. "As a busy mother of five, I have learned hints for practical spirituality during the full days of carpools, feedings and household chores which I share in this hands-on manual". Five appendices of various resources. Very minor wear to the cover edges, else fine. The shipping cost for this small item will be reduced when ordered. . 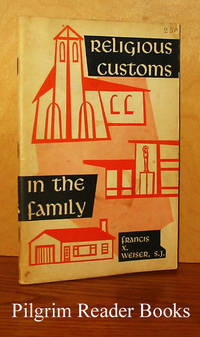 Religious Customs in the Family: The Radiation of Liturgy into the Christian Home. By Weiser SJ., Rev. Francis X.
Collegeville, Minnesota. : The Liturgical Press.. Very Good. 1956. Soft Cover. 12mo - 18 x 12 cm. ; 93 pp. White, red and black card stock covers in a saddle stapled binding. Verso of the last page and the inside of back cover are publisher's adverts. 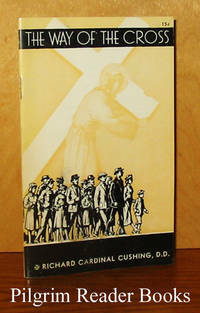 One of the Popular Liturguical Library pamphlets by Fr. Weiser so common in the 1950's. This pamphlet has been picked up for later reprints and is somewhat scarce in the original. The covers are mildly and generally soiled with like wear to the edges. The shipping cost for this small item will be reduced when ordered. .
Fairacres, Oxford, UK. : SLG Press. Very Good. 1981. Softcover. 0728300796 . 8vo - 20.5 x 14 cm. ; 18pp. Fairacres Publication 55. 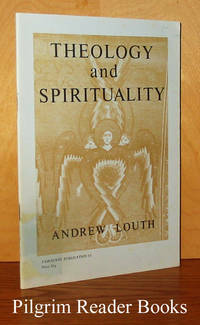 A paper read to the Origen Society on 30 October, 1974 and first published in 1976, revised and expanded in 1978 and reprinted in 1978. "This essay seeks to show that theology, even the most rigorous academic theology, and spirituality belong together and, isolated, suffer disintegration and atrophy." Saddle-stapled booklet. Some staining on card stock wraps, previous owner's name stamped on the tail margin of the title page. The shipping cost for this small item will be reduced when ordered. . The Way of the Cross in Short Form. New York. : Paulist Press.. Very Good. 1943. Softcover. 16mo - 15 x 9.5 cm. ; 47 - (1) pp. Wrappers in a saddle stapled binding. 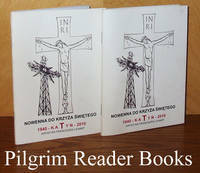 Each station is illustrated with a suitable reproduction on the verso (left hand page) and the prayers/reflection on the recto (right hand page). 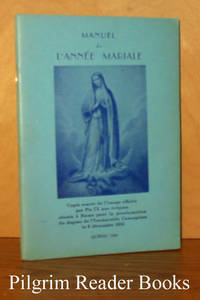 The pamphlet conludes with the "Stabat Mater" in both Latin and English followed by a reflection from St. Thérèse of Lisieux. Previous owner's name (a Canadian Armed Forces Chaplain) stamped in the booklet on several pages. Otherwise the booklet is near fine. The shipping cost for this small item will be reduced when ordered. . 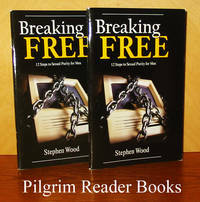 Breaking Free: 12 Steps to Sexual Purity for Men. (2 copies). Greenville, South Carolina. : Family Life Center Publications.. Near Fine. 2007. Softcover. 0972757112 . 12mo - 18 x 11.5 cm. ; 48 pp. Glossy covers in a saddle stapled binding. 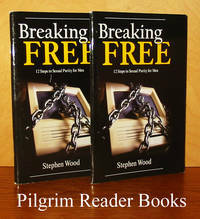 First published in 2003, this is the revised third printing. Seven page appendix; "Scripture Memory for a Pure Mind" and a 5 page section listing various resources. Very minor soiling to the covers, else fine. Both copies are included. The shipping cost for this small item will be reduced when ordered. .
Jésus, j'ai confiance en toi! La Miséricorde Divine. (2 copies). By Kowalska, Soeur Faustine. (Sister Faustina). Montreal, Quebec. 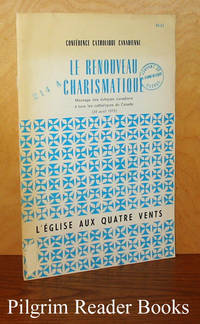 : Oeuvre de Jesus Misericordieux de Montreal.. Fine. 2010. Softcover. 9782922978223 . 16mo - 15 x 10 cm. ; 72 pp. The text is in French. Both booklets are as-new and both are included. 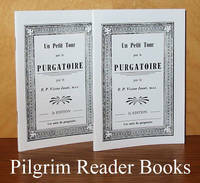 The shipping cost for this item will be reduced when ordered. .
Un petit tour par le purgatoire. (2 copies). By Jouet MSC., R. P. Victor. Sherbrooke, Quebec. 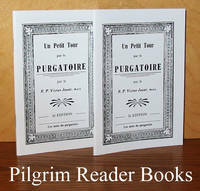 : Les Amis du Purgatoire.. Fine. Softcover. 24mo - 14 x 10 cm. ; 32 pp. The text is in French. White wraps with black lettering in a saddle stapled binding. First published in English in 1933, this is a recent republication (second edition) with no date stated. Based on a pious devotion started by St, Margaret Mary Alacoque in the 1600's, this version by Père Jouet includes many preparatory prayers and concluding devotions. Both copies are included and both are as-new. 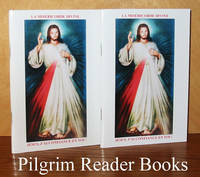 The shipping cost for this item will be reduced when ordered. .
Novena and Prayers to the Holy Spirit. (2 copies). By Lord SJ., Daniel A.
Cumberland, Rhode Island. : William J. Hirten.. Fine. 2005. Softcover. 16mo - 15 x 9.5 cm. ; 24 pp. Full colour card stock wrappers in a saddle stapled binding. First published in 1947, this is a modern reprint. 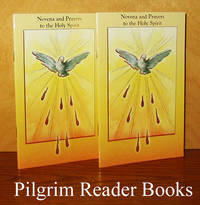 A traditional nine day novena to the Holy Spirit with Litany and Act of Concecration. Well illustrated with full colour and full page art work. Both copies are as-new and both are included. The shipping cost for this item will be reduced when ordered. .
Nowenna do Krzyza Swietego: 1940 - Katyn - 2010. (2 copies). Poland.. Fine. 2010. Softcover. 24mo - 14 x 10.5 cm. ; 57 pp. The text is in Polish. White wraps in a saddle stapled binding. Illustrated with black and white and colour (3) photographs. Both booklets are as-new and both are included. The shipping cost for this item will be reduced when ordered. .
La dévotion envers l'Eucharistie: Union au Christ - Sacrifice - Catholicité . Liege, Belgium. : La Pensee Catholique.. Good. 1930. Softcover. 12mo - 17.5 x 12.5 cm. ; 39 - (1) pp. The text is in French. Orange wrappers with black lettering in a saddle stapled binding. 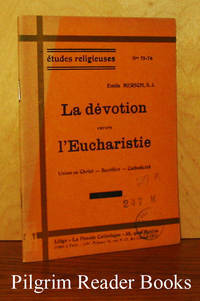 This is number 75-76 in the Études Religeuses series from this publisher. One page of notes at the back. Library stamps on the front cover and on the margins of 4 pages. The covers are faded in the spine area and the edges show mild wear. Otherwise, clean and sound. ; Ex-Library . By Le comite de l'annee mariale, diocese de Quebec. Quebec City, Quebec. : Diocese de Quebec.. Very Good. 1954. Softcover. 12mo - 18 x 12.5 cm. ; 64 pp. The text is in French. Blue wraps in a saddle stapled binding. A collection of various devotions, liturgies and public ceremonies for the celebration of the Marian Year declared by Pope Pius XII. Minor wear and light soiling to the covers while the interior is clean and the binding is solid. . Le Renouveau Charismatique: L'Église aux quatre vents. Montreal, Quebec. : Fides.. Very Good. 1975. Softcover. 8vo - 23 x 15 cm. ; 14 pp. The text is in French. Paper wraps in white, blue and black in a saddle stapled binding. "Message des évêques canadiens à tous les catholiques du Canada, 28 avril, 1975." The text was first released by the Canadian Conference of Catholic Bishops in Ottawa after the plenary session of April 15-18 of 1975. Library markings are stamps on the covers and a few places in the text along with a sticker scar on the lower front spine corner. Otherwise clean with a sound binding. ; Ex-Library . 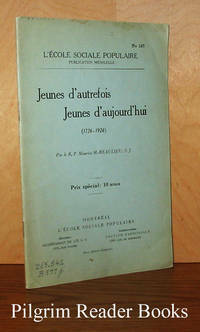 Jeunes d'autrefois; Jeunes d'aujourd'hui. (1726-1926). By Beaulieu SJ., R. p. Maurice H..
Montreal, Quebec. : L'Ecole Sociale Populaire.. Very Good+. 1926. Softcover. 12mo - 19.5 x 12.5 cm. ; 32 pp. The text is in French. Green paper wraps with black lettering in a saddle stapled binding. Publication #147 from this publisher. Minor wear and age-toning to the covers with an accession number written on the front cover in the lower spine corner. Otherwise clean with a solid binding. .